The QR Scanner is a new feature in Pokémon Sun and Moon. By using the QR Scanner feature, the Rotom Pokédex is able to scan QR codes. QR codes allow Trainers to register a Pokémon in their Pokédex, while also revealing that Pokémon's habitat. 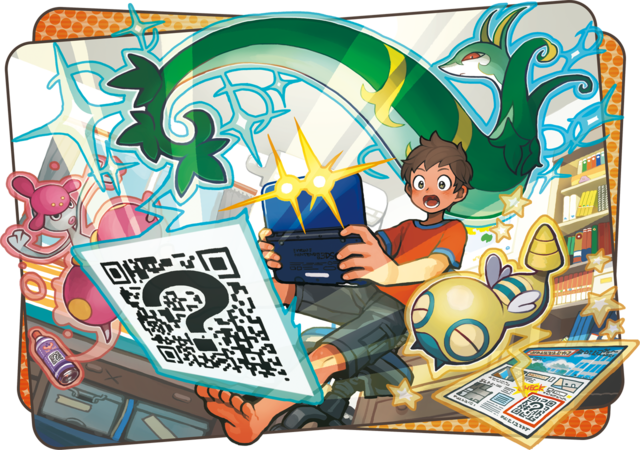 The QR Scanner can also be used to rent out and borrow QR Teams online via the Pokémon Global Link, as well as downloading new Pokémon via Live Events. When you catch a Pokémon, you get a QR code for it in the Pokédex. You can view the QR code by pressing the Ⓧ button when viewing the Pokémon in the Pokédex. You can share this QR code with friends and they can share theirs with you. You can scan a QR code by opening the QR Scanner from the menu, which will start up the game console's outer camera. Make sure the QR code is visible on the screen, then press and hold the Ⓡ button to scan it. Scanning a Pokémon QR code will register it to your Pokédex and show you its habitat, so you can go and catch it yourself. In theory, you'll have to track down these codes by scanning them from other player's physical consoles. However most are already shared online (see the gallery below). When you first receive the QR Scanner, you can use it 10 times. After that, you will have to wait 2 hours each time before you can scan a new code. You can scan up to 10 new codes each day. Each time you scan a Pokémon QR code, you receive 10 points. When you get to a 100 points, you will be able to do an Island Scan. This scan searches the area you are currently in for a rare Pokémon and reveals its location. The Pokémon it will find depends on the island and the day of the week. These Pokémon are all Pokémon that are not native to the Alola region, and all know a specific Egg Move (unless the Pokémon has none). When Island Scan finds a Pokémon, you have an hour to find and catch this Pokémon. If you do not find it on time, or faint the Pokémon, it will disappear and not appear again. For this reason it is advised to not start doing the Island Scan until you have completed the intro of the game, to avoid rare Pokémon appearing on routes you cannot go to yet. Running away from the Pokemon does not end the Island Scan timer. Each time you run from the Pokémon and encounter it again, it will have a different Nature, Ability, and other data. Be aware that Island Scan Pokémon will not call for help. For information about how to create and use QR Rental Teams, check out our Pokémon Global Link guide. 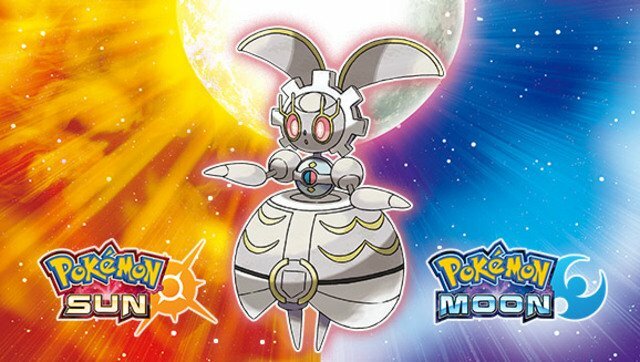 You can obtain the Mythical Pokémon Magearna by scanning its QR Code on the official Pokémon website or directly below. This can only be done after completing the main story in Pokémon Sun or Moon. Magearna can be collected from the deliveryman at the Antiquities of the Ages shop in Hau'oli City.